"Slide" is made of one genuine leather braided strap in brown with magnetic clasp closure. 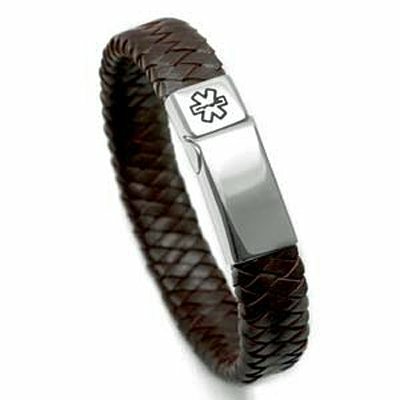 Say goodbye to difficult lobster clasps with the sliding, magnetized "click it" clasp on this braided leather and stainless steel medical ID bracelet! 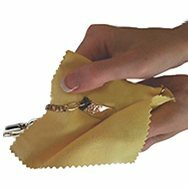 This bracelet fits a wrist of 6" to 6-1/2" only. No further discounts are available on this product. WARNING: Please do not order if you have a pacemaker! Engraving: Please be sure to leave spaces for clarity!